London had a double birth. On the one hand, there was London proper, what is now known as the City, the city of the merchants and the bourgeoisie, and the city also of the Cathedral, of the bishop. This was the first and most important population, which was not the seat of government, but of commerce, and which had and has very close Westminster, that is, the city of government, the city of the King. There is still today that administrative division between the municipalities of the City and Westminster, the two most important towns that constituted the capital and that were followed by many others. For London is the sum of many nearby towns, which over time were added, and this explains its structure, somewhat amorphous and random, without geometric layout, huge, full of green voids and very low density. Although London has the great river, the Thames, so wide as to be a port, and to which the City and Westminster peek out and peek out. Well, in the absence of another layout, London has the Thames as its primary structural feature, but also as an edge or limit, because the other side is not London, but Southwark. That is, the suburb, in fact, another city, with another cathedral and another bishop. Although today we see the capital peer into the river on its two edges, and all full of magnificent bridges, we must not be confused. Southwark today is already London, of course, but before it was not. The river did not have a central condition – which today does not yet have a full form – but a frontier. Southwark was the suburb, and hence there was the Globe Theater of Shakespeare, since in the sixteenth century the theater was considered something of low note, almost close to the brothels. This issue must be considered a fundamental characteristic of the big city, which is largely an important defect, something corrected, very little by little, and in recent times. That London came to have the river as a central element did not begin to be pursued in the Westminster area until the 30s of the 19th century, when Parliament was made, placed on the edge of the Thames. And that received, already in the twentieth century, some replicas on the other side, such as the County Council building, in the first part of the century, and then, after the 2nd war, with the construction of the Royal Festival Hall (arch. Martin & Co) and the National Theater (Arch. Denys Louis Lasdun). But this condition of centrality of the river-that is, with metropolitan elements on either side-is not at all continuous. It reappears with some plenitude far enough, to the East, and in front of the City, in the Tate Modern, old power station (Arch G. G. Scott) converted into a museum (Herzog & De Meuron) and from which very recently it has been realized the extension. It is connected by a pedestrian bridge (Arch. Foster) with Saint Paul’s Cathedral. Finally, and still further east, the area of the Tower of London, on the north side, is replicated on the other side by the new City Hall, also by Foster. The city will still take a long time to correct this historical defect definitively, but it must do so. The condition of the river as a border can be seen well still next to the Cathedral, something separated from the Thames, and with low quality and degraded buildings between the temple and the river, as if this were still a port. The area of Southwark, as it is quite north of Westminster because of the shape of the river, and despite being the south bank of it, has become a privileged place, but of lower urban and building quality, for what today is the main area of the great real estate speculation. If London continues with its bulging urban bubble, the great transformation will be the South, a huge, dilated and attractive horizontal terrain, whose seductive exploration is endless. The North is an almost continuous plane, slightly inclined towards the South – towards the river – still more infinite, and composed by the juxtaposition of the very diverse populations that London was annexing. In the lower part are the large parks from the royal estates, such as St James, Hyde Park / Kensington Garden and Regent’s Park. And the central areas and more urban and dense. Up, more parks, and the less dense and more residential areas. For example, the magnificent Pink Rose park, from which the whole city can be seen, or the Hampstead Garden Suburb, one of the most sophisticated and attractive garden cities. The lack of general geometric layout made the architecture, singular or continuous, much more important than in other cities, where the plan is more basic. Already in the seventeenth century, and after the Reformation, the Gothicism of the city was altered by the importance that the Crown, accepting the ideas of its architect Inigo Jones, granted to the classical architecture of Italian tradition, which was accepted as a primary model , although it was, little by little transformed into British. Thus, during the seventeenth, eighteenth and early nineteenth centuries, the city was converted into a classical city, especially through religious and official buildings. A city of a classicized britanizado, but classic at the end. But in 1666 a great fire completely destroyed the City. The royal architect, Christopher Wren, could not reform the city, as he and the King had wanted, but in return he built the new Cathedral, Saint Paul, in the manner of a new Rome, of a new Saint Peter. And he also built an infinity of new parishes, creating the types of Anglican churches, and originating a tradition that reached the nineteenth century and that turned the network of parish temples into a true urban structure. Despite the great heights and the multiple transformations, this can still be glimpsed today, even if it is blurred. From the seventeenth to the nineteenth century, the Crown, the aristocrats and large landowners and merchants built small urban operations (squares-square squares, crescent-semicircular plazas and terraces-rows of houses) to rent housing to the bourgeoisie . They did it over the centuries “classic” and made with it another of the most important and characteristic urban instruments of the city. Squares, Crescent and Terraces are nothing more than rows of vertical houses, of 4 or 5 heights, that are constituted in the manner of large buildings and that even disguise themselves as palaces and take with them the form that is desired. That is, they served as ideal instruments for the quality of urban space. To these operations of small urbanism, and of speculation of the upper classes, London owes its domestic architectures and its more attractive urban spaces, more than compensating for the lack of layout. However, at the beginning of the nineteenth century, another architect of the Crown, John Nash, drew the Regent’s Park, the Park Crescent, and the great street composed of Portland Place, Regent Street, Picadilly Circus, and its extension to Pall Mall and Waterloo Place, in the area of St James. Made by order of the Prince Regent, it was the most important urban reform of the city, almost unique, and very conveniently structured the Northwest of Westminster. With this reform, the most important commercial London was built and the classical period was completed. And the romantic began. With the new Parliament, for which a contest was held in which he was forced to present Gothic projects or rebellion properly English, he turned his back on the classic London, already consummate, to start a new disguise, sensitive to new taste: a Gothic London, neo tudor and neo British, in general. 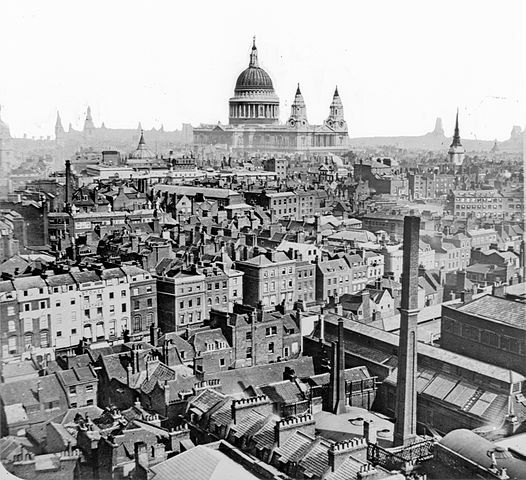 The city thus began the mixture and coexistence of two ideals, the classic and romantic, and British prosperity during the nineteenth century made the latter immediately very noticeable and almost considered even more characteristic. The neo-Elizabethan houses, made of brick and white stone, full of historicist details, are today for many people the true representation of the city. But not everything was done. At the end of the century and the beginning of the twentieth century a new classicist period began. But, above all, another new ideal was born, the modern one, which was only incipient before the second war, but which became definitive and very important after it. Another character, another disguise, came to overlap the classic and the romantic. And the city, so well represented by architecture, is the fruit of it. Thus, with an urban structure composed of the river, the large parks, and the imprint of the populations that were absorbing. Extensive and with low density, it supports the singular architecture and that of the parishes, in micro-urbanism operations (squares, crescents and terraces), characterized by three successive, classic, romantic and modern disguises, the capital’s great capital city. The United Kingdom is the largest and most important in Europe. And, in addition, one of the most beautiful, if not the most. And the most interesting and attractive. But the most. “Londres, city in disguise. The architecture in character formation of the British capital“. Ed. 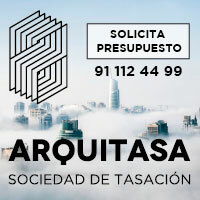 Abada, Madrid. 2013. “London´s hundred best buildings“. Ed. Cruzial, Santander, 2016.